When it takes longer than it should to get pregnant, the first thing you what to know is why. So you go through the full diagnostic process, from researching family medical history to physical examinations to hormone tests -- the whole shebang. And yet, some women aren't any closer to discovering the reason behind their infertility. If it's not you, and it's not him, then what's keeping you from getting pregnant? 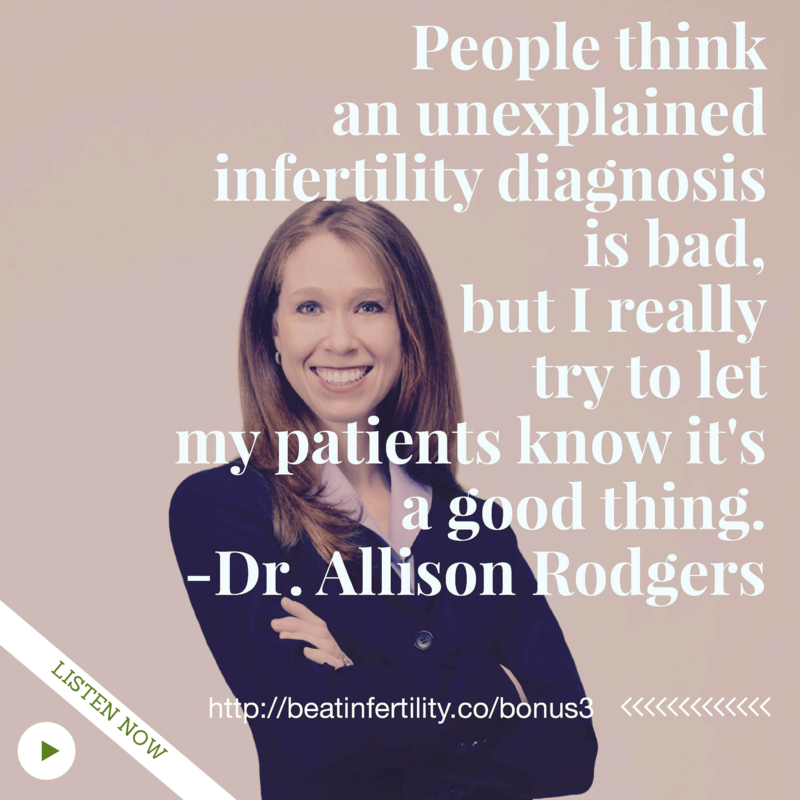 Dr. Allison Rodgers of the Fertility Centers of Illinois explains in an interview that an unexplained diagnosis is actually a good prognosis. It's better to find nothing than to find something seriously wrong -- even if that means extra guesswork for you and your doctor. 1. Approximately 20-30 percent of infertility patients receive a diagnosis of unexplained infertility. As a representative of the Type A members of society, there's nothing more frustrating than not knowing all the answers. So, what does "unexplained infertility" actually mean? 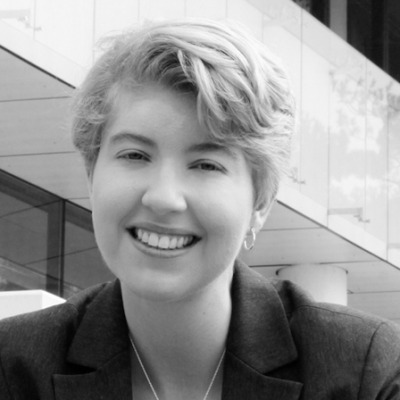 According to Dr. Kara Khanh-Ha Nguyen, a physician at the Reproductive Medicine Associates of Philadelphia & Central Pennsylvania, "The diagnostic testing we have available will only identify the major reasons why a couple may have a difficult time getting pregnant but it certainly can not identify all the reasons." She goes on to explain that no tests exist for "subtle infertility factors" that could impact fertilization, such as poor egg quality. Hope to cope: Not knowing the root cause of infertility means that all options are possible and you're really only limited by your own ambition and available resources. Dr. David H. Barad, director of clinical art and senior scientist at the Center for Human Reproduction, explains: "Everything is unexplained unless you make the effort to try to explain it. Until you begin an investigation, you are unexplained." 2. Although the average chance of falling pregnant any given cycle among fertile couples is 20 percent, patients with unexplained infertility have only a one to four percent chance without treatment. That percentage doesn't offer much hope to those with unexplained infertility. With what seems like daily Facebook pregnancy announcements, it can feel like no one else shares your struggle to get pregnant. But, as it turns out, it can be difficult for even the most fertile among us. How to cope: Before jumping into invasive treatment options, start off with minimal intervention treatments. According to Dr. Rodgers, "There's a good number of patients who can get pregnant with more minimal interventions. The only way to know for sure is to try." Of her patients, typically one-third will get pregnant with medications and inseminations alone, which proves that sometimes minimal interventions can do the trick. 3. After three years of "expectant management," the pregnancy rate for women with unexplained infertility is about 30 to 60 percent without intervention. There's nothing more frustrating than being told to "just wait it out" (another product of being Type A). If only it were that easy. Unfortunately, for many women, the "wait and see" approach doesn't often end with a baby. 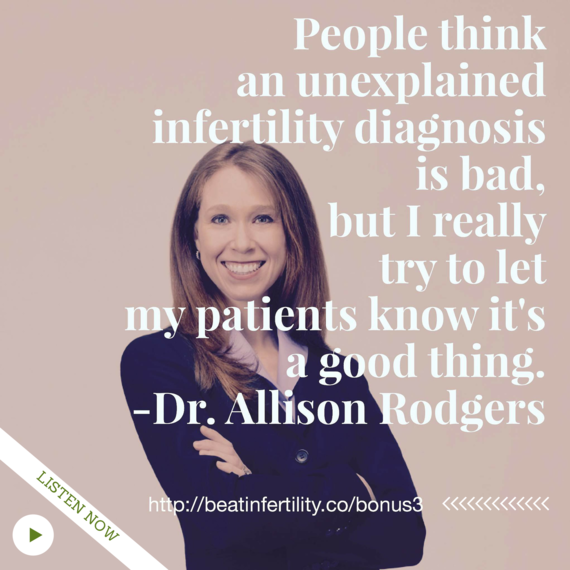 After all, most of us are infertile for a reason -- whether it's explained or not. Hope to cope: Instead of solely taking the "expectant management" approach, try a number of at-home techniques. One such technique is switching up your diet to include more fertile foods and/or supplements, such as organic, grass-fed meat and dairy, cold water fish and high-fiber foods. Not only does a fertility diet support your body in its reproductive efforts, but also it has shown an 80 percent decrease in infertility due to ovulatory disorders. Mind-body exercises can also help reduce fertility-related stress and even help achieve fertility success. If you'd like to learn more about mind-body techniques as they relate to infertility, I highly recommend listening to my interview with Joanne Verkuilen, founder of Circle+Bloom. 4. Unexplained infertility often leaves IVF as the only treatment option. In fact, a randomized trial of couples with unexplained infertility called FASTT (The Fast Track and Standard Treatment) showed that couples who are unsuccessful after three cycles of Clomid and intrauterine insemination (IUI) should then try in vitro fertilization (IVF) as the next step toward a successful pregnancy. Hope to cope: The upside of IVF is that it can sometimes reveal subtle infertility factors other diagnostic processes miss, such as inadequate egg quality and embryo development or implantation issues. What's more, the success rate of IVF is actually pretty impressive. In women under the age of 35, nearly half (47.7 percent) of transfers resulted in live births. While that percentage does decrease with age, it's still reasonably high for women between the ages of 38 and 40, with 28.5 percent of transfers resulting in live births. 5. Nearly six percent of women with unexplained infertility issues have celiac disease. According to the Celiac Disease Foundation, "When people with celiac disease eat gluten (a protein found in wheat, rye and barley), their body mounts an immune response that attacks the small intestine. These attacks lead to damage on the villi, small fingerlike projections that line the small intestine, that promote nutrient absorption. When the villi get damaged, nutrients cannot be absorbed properly into the body." In other words, it may not be your reproductive organs causing your infertility. How to cope: If you've struck out at the reproductive endocrinologist for an explanation of your infertility, try seeing an allergist. Your baby prayers might be answerable with a simple diet change. There's no denying that these facts are frustrating for those dealing with unexplained infertility. But we are not statistics. Don't let these numbers define you and your struggle. Instead, let them motivate you to be the exception, not the rule. Which of these facts resonates most with you? Share your thoughts in the comments!